Funding needed for our education programme – Bulungula Incubator Help us to provide these children with improved life opportunities! Help us to provide these children with improved life opportunities! Children in primary school struggle to complete some of the most basic tasks which should have been mastered in Grade R and many are older than the average age (there is a 15 year old in Grade 1, for example). Grade 6 learners ‘graduating’ from the local government school fail to understand basic mathematical concepts, or to read or write with any fluency or comprehension. Almost all adults are illiterate and innumerate. Without a focused education intervention, there is little hope that the situation will improve for the children of the area. We are committed to addressing these challenges and to broadening the scope of life opportunities for our children. As such, the BI is seeking funding for the continuation and growth of our education projects. These projects are aimed at the direct delivery of quality education to children in the village, the rehabilitation of local government schools, and the facilitation of community activism and participation in education. 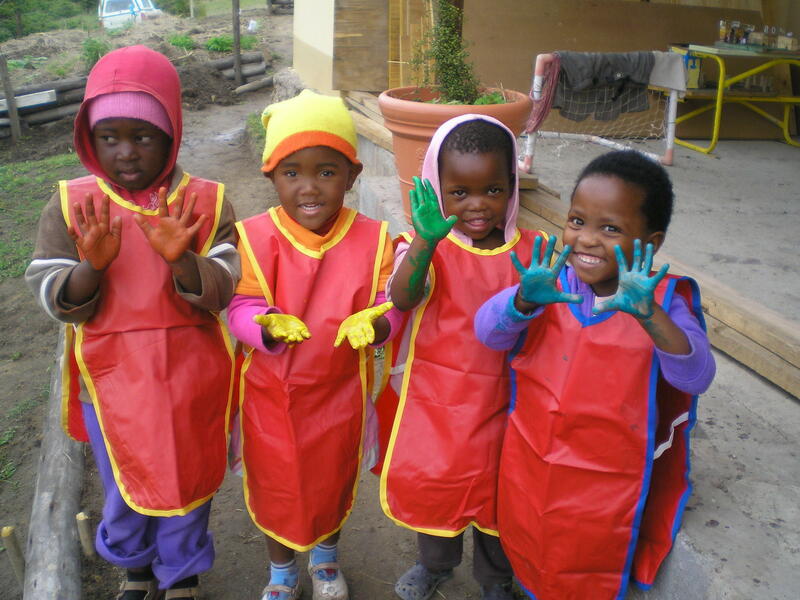 In line with excellent education policy throughout the world, our education initiatives begin with the preschool child. Please email sonja@bulungulaincubator.org for a full project proposal and budget. great, we’re waiting..is there anything we can do to help with that? It costs R135,000 to build one classroom. We need to build 4 more classrooms at the Noofisi Primary School. You can make a contribution using a credit card via our website or a direct bank deposit – details are also on our website. Hi there- please could you e-mail me the bank account details for the school? I ‘d like to circulate these to a wide circle here in Cape Town and ask them to allocate the Jujurha Centre on their Woolworths ‘MY SCHOOL’ card as their school of choice for funding. Many of my friends and colleagues shop regularly at Woolworths; it’d be worth it I think to convince them to redirect their ‘My School’ cards in favour of the Jujurha Education Centre instead of their childrens’ already well resourced schools here in Cape Town – I feel most people would be happy to swop knowing the funds could be put to good use in a rural school. We came to Bulungula on a holiday visit when the Centre was mostly at foundation level, and Dale had established just the beginnings of a veggie garden. I so admire what you’re all doing and would love to help in whatever way I can. Thank you for thinking of us! We would be thrilled to be a beneficiary on the Woolworths ‘MY SCHOOL’ card! I will email you all our details. We visited Bulungula from the 11th – 14th Dec 2010, pure magic. I have not found the school listed as a beneficiary with myschool – we too would like to support the school with our purchases. What needs to happen still?